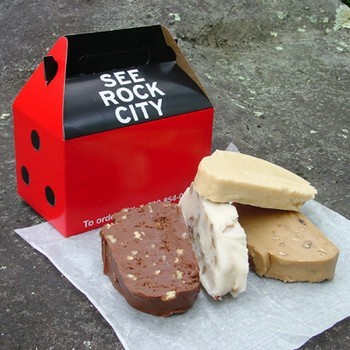 You'll get 4 slices of homemade fudge in a Rock City Birdhouse shaped gift box. Choose from Plain Chocolate, Rocky Road, Peanut Butter, Maple Pecan, Vanilla Pecan, or Chocolate Pecan. 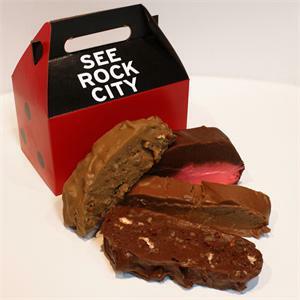 It's the perfect gift!